Hello Beauties! 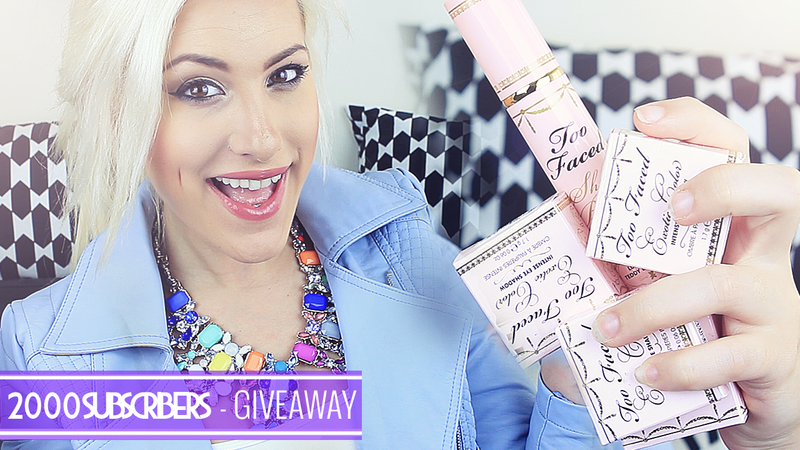 Today's Video is my 2000 YouTube Subscriber Giveaway. I was here telling you all about my 1000 YouTube Giveaway only 4 Months ago and now we are already at 2000! I literally cannot believe it but I am so grateful to have you all, every single one of you and to many more months to come! I wanted to give back to 2 WINNERS this time so you have the choice of either the gorgeous EYE BRUSH SET or 4 Beautiful SINGLE EYESHADOWS. I really Hope you enjoy this giveaway and I plan on hosting more giveaways throughout so keep an eye out! Make sure you head on over and LIKE & Subscribe too! What's your favourite Video? Share and let me know in the comments below.